14 people which generated 8 hours of footage edited down to a 15 minute video. We’re really pleased with how it turned out! Also recently we produced 2 videos for another favorite client Dean Foods – an internal Award video and a Dairy Stewardship video. For the latter, we traveled to a couple of Dairy Farms and were amazed at how much work it takes to run those operations. 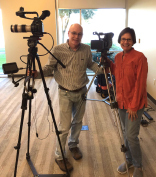 We’ve also recently begun working with the Women’s Wellness Institute of Dallas producing a series of patient video diaries. Also in the medical field, we produced another video for Dallas Neurosurgical & Spine with The Brayton Group – this time about their minimally invasive procedures. 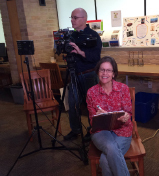 And so far this year we’ve updated videos for Young Women’s Preparatory Network, Anovia Payments, and Dean Foods. This is something we’ve always let our clients know – that it’s easy to update their videos to keep them “evergreen.” (So when was the last time you updated your videos? 🙂 And finally, one last thing we’d like to share. 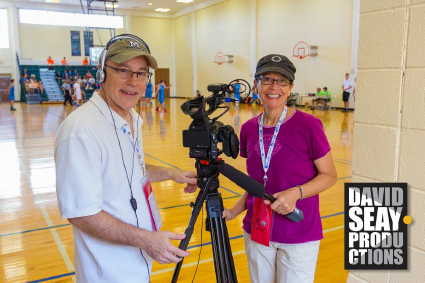 We were told by our Holy Trinity Seminary client that the video we produced for their annual fundraiser helped them raise 85% more in Event Night Donations than the year before. We were honored to help! And speaking of, we are so honored that all of you continue to put your trust in us. It means so much, and we thank you! informed. It’s fast and easy – let’s get started!